When your blog is a hobby, a personal diary, a way to save your photos or remember your holidays, you probably don’t see it as a business. However, once you gain some momentum and gather a readership, maybe start making affiliate sales, accepting sponsorship deals or advertising, it has a life of its own and is, indeed, a business. As a freelancer, you need to register with HMRC, and this means you’ll be responsible for a tax return each year whether you make a profit or not. Bookkeeping is a legal necessity in order to build the necessary records of your financial dealings. The good news is that it doesn’t have to be a complicated chore. With a simple system you can set up in minutes, updating will be quick and easy. Whether you go for a spreadsheet, an old-school handwritten ledger or an online accounting service, find a system you like and stay with it. 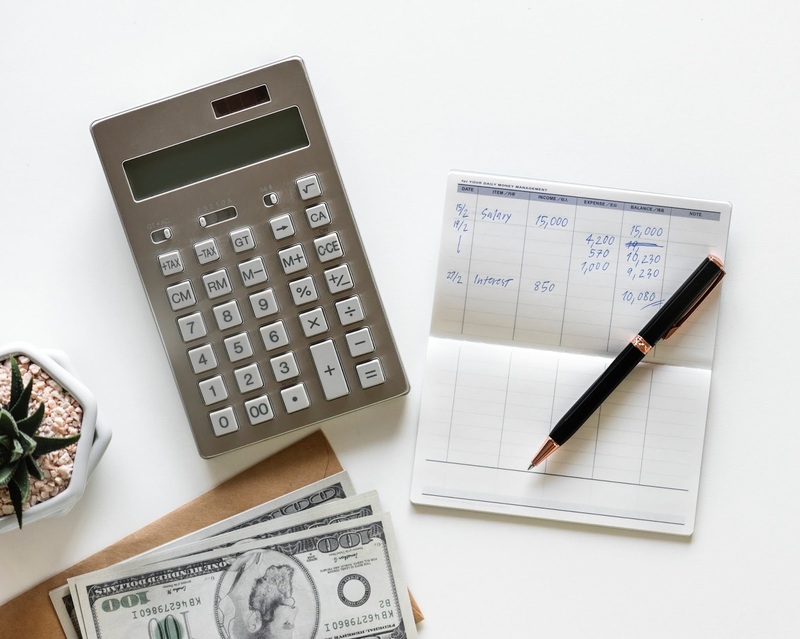 You can add processes or categories of income or expense when you want to dig deeper or streamline things, but switching to a completely different method of bookkeeping wastes time and puts you on a new learning curve. Unless you really need to start afresh, stay with the tried and trusted. The most basic bookkeeping systems are nothing more than a way to track income and expense, and compare the two. Although you’ll have two main columns on a page (either in software or a written notebook) for income and expense amounts, it’s best to include extra columns so you can also record the date, methods of payment, and where the money came from or went. Update your income and expenses columns every day (or at least every week if you don’t have loads of transactions), and carry running totals over to a new page for each month to start that month’s columns. As your blog gains momentum and you find it’s busier on the financial side, you’ll probably want to keep track of more than just income and expense. You will, for instance, want to know who owes you money, if their payments are overdue, and when to send out reminders. Your bookkeeping system can include references to invoice numbers and transactions that appear on your bank statement. When you find you want to delve deeper into bookkeeping or accounting, don’t be scared to find an accountant. You don’t have to be a multi-million pound corporation before engaging some professional help. A bookkeeper or accountant can help make sure you’re tracking all your finances properly and keeping the records you need by law. Other benefits include freeing you of the daily bookkeeping task if you really dread it, and putting together a tax return that ensures you’re claiming all the allowances you’re entitled to. Have a business bank account. Mixing personal and business spending quickly confuses matters, plus you’d be showing professionals your personal affairs if you use your own bank account. Keep your receipts. Hang onto all of them, even the very tiny amounts. Keep them in monthly folders or envelopes, with a simple number system cross-referenced to your written accounts. If you choose to keep digital copies of receipts rather than paper originals, devise a folder system on the computer you can understand, remember, and be consistent with. Keep backups of your files in a separate storage system such as an external hard drive, as well as maybe in cloud storage. Sometimes the very words ‘bookkeeping’ or ‘accounting’ are enough to send shivers down your spine. If it’s something you normally shy away from because it sounds complex, break it down into its simplest form of income and expense, and make a start. You’ll be glad you did when you find you’re the owner of a successful blog.